Our purpose is to create enduring architecture for inspired living. We believe architecture should be expressive, timeless, and always in unity with the natural beauty of the site. We understand that thoughtful designs emerge through the collaborative process of listening to, learning from, and engaging with our clients. Equally important is the study of the conditions and natural features of the landscape, the character of the existing structures, and the context created by the surroundings. Through this exploration, we gain a deep understanding of our clients desires coupled with the possibilities offered by the site. Our work is informed, from concept to completion, by the highest levels of quality, integrity, and craftsmanship. It begins with a conscientious selection of the appropriate materials, dedication to the innovative and proven building techniques, and sustainable practices that promote environmental responsibility. Our longstanding partnerships with leading engineers, landscape designers, interior designers, builders and artisan craftspeople, allows us to design with continuity, precision, and unparalleled sophistication. We are a small practice by design, This is the only way we can give our clients our undivided attention to detail that we believe is required for a highly individual personalized service. All phases of the design process are carried at principal level, further ensuring a hands-on wealth of experience being applied to every one of our projects. Our home is the most important investment of our lifetime. You want to put all your resource and much of your earnings into it. We should study our options and make our decisions wisely for it is in our best interest to carefully consider our family’s future. Buying the ideal home plan to meet your needs and way of life does not need to be difficult or time-consuming. Ken Pieper residential designer brings to the table both years of experience and uncompromising dedication. Ken specializes in the design of extraordinary homes and has had this focus for over 35 years. Give us a call or visit our website to see our Ready To Build Stock Plans (link here: <a rel="nofollow" target="_blank" href="http://www.kenpieper.com/?page_id=1474">http://www.kenpieper.com/?page_id=1474</a>). We look forward to designing you a home that compliments natures' beauty and your personality. Our specialty is full service "Individualized" residential and commerical interior design. We also enjoy consultations in Children's Design or any other area of interest to the client. We've completed projects in a wide range of specialty/styles. Patty officially became an Interior Designer upon her graduation from Arapahoe Community College with an Associates degree of Applied Science in Interior Design, but her design career had a jump start after she decorated her 15 different homes while her husband served a 20-year career in the United States Air Force. People often commented on her ability to decorate her homes and she found their attention heartwarming and encouraging. Happy clients. Happy homes. In a nutshell, we want you to love where you live. With the belief that our homes are the single most important space in our lives, award winning design firm Studio 4C is committed to crafting thoughtfully tailored designs that reflect each client’s needs and individual style. Emphasizing a collaborative approach to design, we work closely with the client, consultants and contractors to ensure the success of each project and bring the highest level of service and quality. From custom homes and additions to kitchen and bath remodels, we are dedicated to single family homes. Let us translate your dreams into reality. How do I find the best Golden architect for my home design project? It is best to hire a home architect who will be involved in all phases of the design process, from the initial concept to the completed construction. The architect is often the first person you will hire for your project. If necessary, they might also help you select and hire Colorado subcontractors, which can include the builders, engineers and landscaper. Interior architects are also involved in negotiating contracts for all involved participants. It is for these reasons that it is extremely important for you to have a good relationship with the Golden residential architect you hire. He or she can be the tie-breaking vote between you and the general contractor and can be your biggest advocate during the construction process. 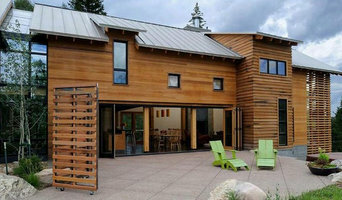 Different architecture firms in Golden, CO provide different services, so the scope of the work can span from pre-design environmental impact studies to selecting furniture and finishes, depending on what your specific needs are. It is very important to hire the right professional for the job. Remember that the most well-known or established designer might not provide the best architectural services for your needs. It all comes down to the individual project. Research and ask people whose work you like for recommendations. It's important to have somewhat of an idea of the style of house architecture that you prefer, as well as the amount you would like to spend. 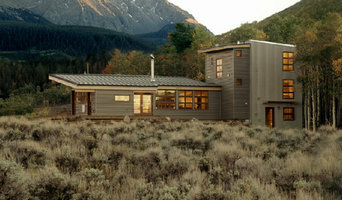 Residential architects in Golden, CO are natural problem solvers. They will assess the entire situation and help you to solve your problems too. Don't settle for a single company too early. Call and interview a few. Make sure that you feel like your personalities will mesh well and that you like their professional perspective. 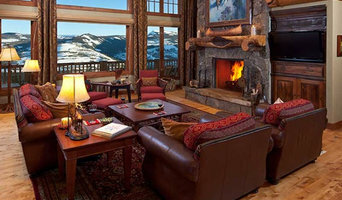 Find a home architect in Golden, CO on Houzz. Narrow your search in the Professionals section of the website to Golden architects. 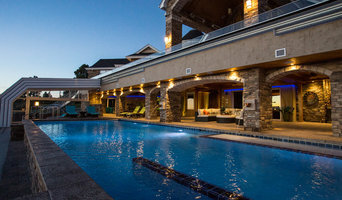 You may also look through photos of Colorado projects to find interior architects and building designers who have worked on a project similar to yours.